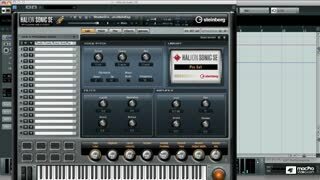 Cubase 6 offers some amazing new features to Steinberg’s iconic DAW. 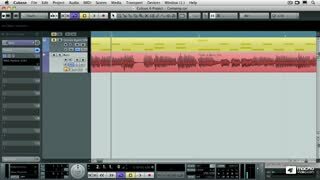 This FREE First Look Tutorial-Video will show you many of Cubase 6’s coolest new tools & abilities. 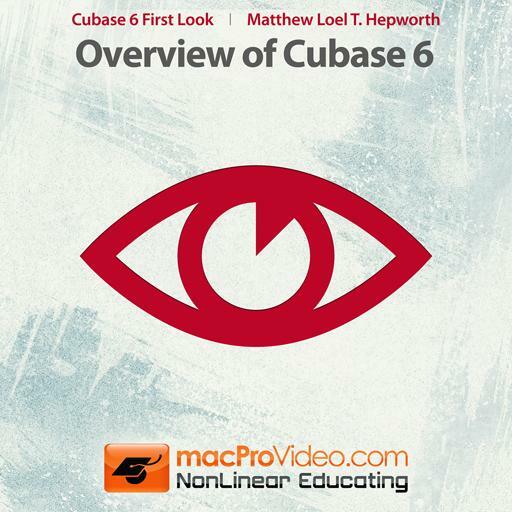 In this Cubase 6 First Look tutorial, Matthew Loel T. Hepworth (macProVideo.com’s Star Cubase Trainer) shows you all the awesome new audio features in Cubase 6. You'll explore features like Multi-track Audio Quantization, Audio Tempo Detection, and Drum Replacement. Next, Matt demonstrates the many refinements that have been made to the LoopMash and Groove Agent plug-ins that allow them to work together seamlessly. You’ll see & hear how the new plug-ins (like the VST Amp Rack guitar processor and HALion Sonic SE synthesizer workstation) work seamlessly with this incredible DAW to make pro sound. When it comes to the HALion Sonic SE synthesizer, you'll get a solid exploration of the world’s first Note Expression compatible virtual instrument while getting a look into the future of MIDI with note-based continuous controllers like pitch bend and expression. Other chapters will go over 64-bit native mode, the new Comping feature, background grid adjustment, and Standard MIDI File and General MIDI operation. 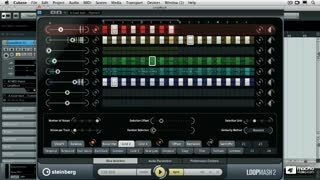 Whether you’re upgrading from a previous version of Cubase or a new user looking to see what Cubase 6 offers, this "Cubase 6 First Look" from macProVideo.com is a must-have tutorial! I actually took the entire Cubase 6 series courses. These courses are the best I could find anywhere. Highly recommended! Very well done. easy to understand. very thorough. Well worth the investment. First Cubase course I watched, and one of the best - clear and concise throughout. Excellent. 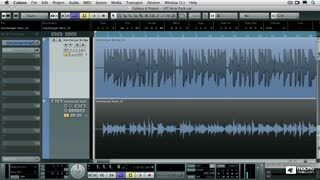 Superb introduction to Cubase, quite effective for V7 as well as 6 and 6.5. Instructors knows every nuance, and steers through the material cleanly and effectively. Highest rating. DAWs are never the easiest to pick up. 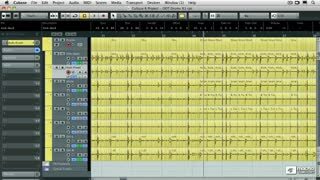 These Cubase tutorials made switching from my previous DAW a breeze. Highly recommended. 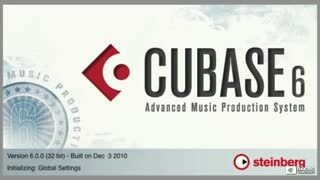 My take on "What's in the new Cubase 6? Lots of people in the music industry will never get to know what the depth of MIDI technology is. The fact that it exists is too convenient; like turning on the radio, we don't know all the details of how or why the signal gets the music to come out of the speakers. But to some of us that are passionately involved in music, we can't pull ourselves away from another way to create something original to share with the world. MIDI was my turn on the road to becoming a hermit. At first it was a way to keep myself entertained off the job. Some musicians use crossword puzzles, others puzzle at what they put up their nose, some reflect on our wonderful world and how we manage to fit somewhere in it. And, some of us ended up on the MIDI highway. When I first started to do my home studio I found that putting on my own tracks was just like going into the studio, but you're alone. With no direction known. A Complete Unknown. Way cheaper than hiring other musicians to play their own instruments, I felt MIDI was a gift for me to get around the lack of money and also the time that is required; rehearsing with other musicians so we could "go in and record". I figured out that the time I spent making a single MIDI song was correlated to the cumulative time that ALL the members of a band spent working on a project. Since lots of my time on the road was spent "waiting", this ended up being a sane investment. After all, weren't we musical "artists" supposed to be involved in making something unique to show the world- and couldn't I use my time "waiting" in a hotel room by sequencing up a new demo? I would love to get back home with new tunes to share with my original band, the "Real" band; and to welcome their input so my music could get better. It's like hitting the ground running... in the '90's, b4 home PC's. 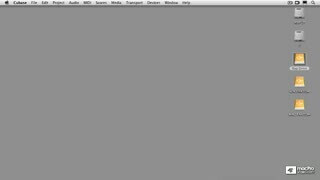 After learning a few other programs of desktop software music production, I got able to get around in this enormous MIDI world. Such as it was. Hell, I even got a job as a Sequence Producer after ending several years of travel in "The Tom Jones Orchestra". I felt it was a great band to be part of- 11 musicians, 3 back-up singers and a REALLY good lead singer. And I even got paid to travel all over the world. Having Fun. Now, Cubase has brought new things to the world for us musicians to enjoy and play with. Cubase 6 got mighty interesting about halfway through the demo video. The presenter, Matthew Loel T. Hepworth, did a fine job condensing the essentials of the program into 10 Chapters. What great diction! When he took on this arduous task of how to present the ideas in the new technology so it made sense, he used some of his own old recordings to make a few points. Thank you Matthew, for showing some youngster the difference between "just from the pickup"- and eventually the beautifully processed sound you molded it into. Amazing. Actually we should be thanking Steinberg for being "on it" and coming up with new ways to express our music. 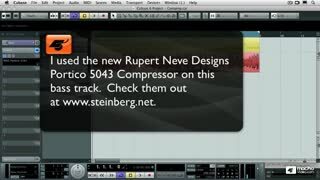 Especially in Chapter 6, where Mr. Hepworth shows you very simply and quickly about the new HALion Sonic SE Plug-In. NICE. When you get to Ch. 7 he shows us a world that seems almost TOO easy. Where has this stuff been all this time? I could have used it 30 years ago, but I'll definitely use it TODAY. Hepworth took a step beyond when he used "The 1812 Overture" to make a point in his demo. Using that oldie from before even recording existed- was great. Even showing off the MIDI gunshot (that part wasn't in the demo, but it was on Channel 16). looking at his choice of instruments, I remembered that he used what came stock in Cubase 6, and it looked like a fair MIDI representation of a Symphonic Orchestra (there is a difference between the standard sounds Hepworth limited himself to and the sounds of the optional HALion Symphonic Orchestra). Check that out , too. Especially if you need to do any scoring. Do you need a cannon sound? That; and thunder, rain, traffic, cat or dog are also available. Standard MIDI... Now let's talk about Loop Mash and Groove Agent. In the first minute (of Ch.8), Hepworth explains how the loops could be manipulated by selecting the most valuable parts, and arranging those parts into a new version. Very useful. I found a new way to use the pads on my Fantom X-8 by using the "Comping" feature discussed in Ch.9. Now the old "takes" that weren't used the first time around might be used in a new way. The last thing I got from the demo is a new way of using an old feature that's in all sequencing programs. 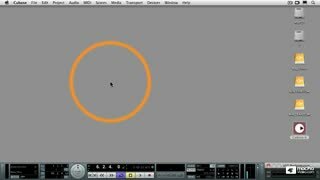 Remember playing with Quantizing? WELL! How about re-emphasizing the rhythmical phrases in the music? I know some "garage-band types" will probably re-visit the concept of how time signature relates to the music. What? Ch.10 is about using the grid lines to quantize (like you may not have thought about b4). Watch this demo - it's about time somebody came up with this stuff! In summary, Cubase 6 looks like it's opening new ground for us "picky" musicians/producers to discover. Watch this demo. 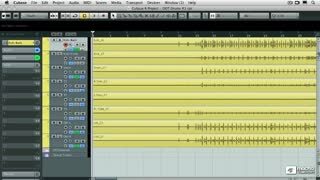 See a new approach to re-voicing some of those older MIDI files that are collecting dust on your back-up drive. You DO have your stuff backed up, right? Watch how to take these old files and re-voice them with new sparkle and life. Cubase 6 would have made it a lot easier to re-voice a project I worked on a few months back; and for exactly the reasons that are discussed in the demo. We couldn't do this stuff so easily before this program. And I own Cubase 4 and 5. So let's go get Cubase 6! Regards, Bob Wooley, Henderson, NV.